We pride ourselves on our ability to deliver on time service, high quality craftsmanship and a can do attitude. Our team consists of multi trade specialists whose knowledge and skill level is amongst the highest in the industry. Our teams experience and expertise has always made TradesCo the preferred choice for all your building solutions. TradesCo friendly approach has made organisation of jobs and client liaising a hassle free and non-stressful operation with many of our team being available around the clock. TradesCo offers a professional and customer focused approach to our work. We have always strived to ensure our clients come first and no problem is ever too small or large to discuss. Our customer and technical service teams are always willing to help solve and provide solutions for almost any type of work. Our dedication to customer satisfaction has made TradesCo a desired company within the building industry. Since our inception we have delivered quality, consistency and honesty which has allowed us to grow in the markets we serve. We have a centralised, customer friendly system which is why many managers, owners corporations, organisations and multinationals rely on us 24 hours a day seven days a week to deliver what we do best. So if you are looking for a highly skilled service provider to maintain your property investments remember that TradesCo is the way to go. Contact us today and see how we can service your specific requirements. Leading strata management, building management firms and their staff use TradesCo on a daily basis to attend to quotes, work orders, insurance repairs and emergency works as well as after-hours requests because they know they can rely on our staff to exceed the expectations of their owners. TradesCo has attended to countless insurance repairs and emergency make safe requests for our clients who prefer us thanks to our ability to meet client requirements and timelines they expect. Both managers and engineers use Tradesco for cost effective, industry compliant solutions coupled with professional levels of service which is the reason why we have completed countless requests for so many clients. Meeting the requirements of the retail market is challenging, that is why Tradesco has excelled in its presence in the retail space providing around the clock building service, strip outs and de-fit works in Australia’s leading shopping centres. TradesCo started working on residential properties, this aspect of our business still continues today. Commercial properties are also our area of expertise which we exercise our trade services on a regular basis. Our understanding of design and construction allows us to resolve any issue. Tradesco services are also in demand when it comes to industrial properties, our understanding of design and construction allows us to resolve any issue. Tradesco has completed a number of heritage works and has experience dealing with relevant industry bodies making the experience seamless and simple. This slider shows just a small sample of some of our metal fabrication works in progress. If you have any questions feel free to contact us. This slider shows just a small sample of some of our concrete and excavations works in progress. If you have any questions feel free to contact us. This slider shows just a small sample of some of our painting works in progress. If you have any questions feel free to contact us. This slider shows just a small sample of some of our remedial works in progress. If you have any questions feel free to contact us. This slider shows just a small sample of some of our emergency, make safe and insurance works in progress. If you have any questions feel free to contact us. This slider shows just a small sample of some of our Concrete spalling works in progress. If you have any questions feel free to contact us. This slider shows just a small sample of some of our retail works in progress. If you have any questions feel free to contact us. TradesCo is a multi trade service and solution provider with abilities to meet the requirements of all jobs, large and small. Many owners, organisations and multinationals rely on our dedicated abilities and services daily to meet their requirements and responsibilities. Our clients rely on our vast knowledge, capabilities and our drive to maintain high levels of service and satisfaction. As a dedicated service and solution provider, over the years we have forged strong relationships with vendors, engineers, architects and designers in order to provide a complete solution. Multi-trade building maintenance is what we do daily and have been doing so for years, from a simple door closer issue and OHS repairs to building façade upgrades. If you have any requirements large or small please contact us today. This is a regular repair item for our team, our team are trained and highly experienced with concrete repairs, so let us look at your next concrete job – repair or new placement. Some of our common requests include: façade works, concrete cancer, rising damp and mould, water issues, crack repairs and flashing problems. 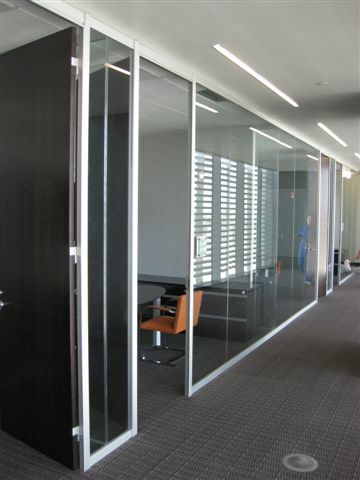 We also work closely with engineers and architects. Tradesco regularly attend to urgent issues caused by high winds, vehicle damage, vandalism, storms and building defects just naming a few. Leak detection and solutions is a critical part of our business. 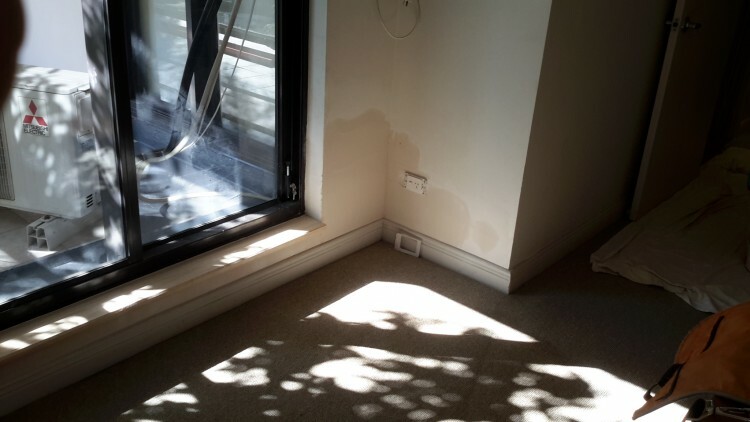 If you have water issues with your roof, ceiling, sliding door, window, balcony, planer box, shower or water leaks anywhere in your property, we will find a solution for you. Many clients rely on us to paint the smallest patches through to large high rise buildings, even line marking. Our professional team can take on almost any coating request, application by staining, roller, brush, spray or special applicator method. Repair and replacement of your flooring is simple with TradesCo, we have access to leading brands of timber, carpet and vinyl suppliers at competitive prices. Tiling of common areas, repairs and replacement is a very common request from our clients. We have capabilities to match and source tiles for you as well as placement by our professional tilers. Custom metal works, hand rails, balcony balustrades, fencing, gates and doors have been request by many clients. We also can modify existing structures and repair metal works. This is a common request from retail and commercial clients. We’re always willing to attend to these works 24 hours a day 7 days a week. Electrical requests both urgent and general, upgrades and quotes are handled regularly by our team. We are also capable of taking on level two works. Doors and windows are a standard item for repair and replace in any property, they could be made of metal, timber or glass, hinged, corded, pivoted or sliding. Whatever your issue let us know. If you don’t see what you want, call us now! TradesCo has been operating in Sydney metropolitan since its inception. We pride ourselves on our ability to deliver on time service, high quality craftsmanship and a can do attitude. Our team consists of multi trade specialists whose knowledge and skill level is amongst the highest in the industry. Our teams experience and expertise has always made TradesCo the preferred choice for all your building solutions. Working to engineer and architectural specifications And much more.